On Sept. 17, 1942, Gen. Mikhail Katukov was sitting in a meeting with other Soviet generals — and dictator Joseph Stalin. The situation at the front was grim, coming months after the devastating Soviet defeat at the Second Battle of Kharkov, and as German armies pushed into urban Stalingrad at the beginning of perhaps the bloodiest battle in human history. Among several matters, Stalin was concerned about high-ranking defections within the Red Army. 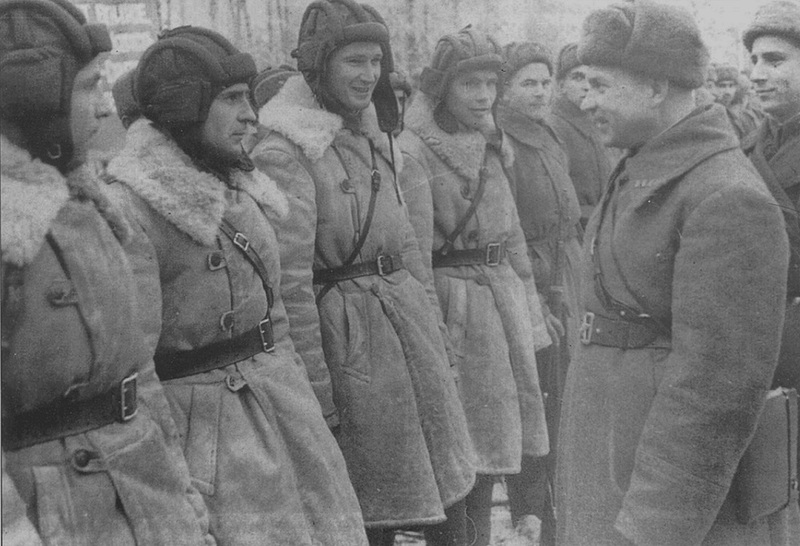 Earlier that summer, Gen. Andrey Vlasov, a Soviet general and one-time adviser to Chiang Kai Shek, surrendered his isolated army near Leningrad and defected — a major propaganda victory for the Axis, which dropped leaflets on Soviet lines with images of the general in German hands. One of Vlasov’s one-time subordinates, Maj. Gen. Alexander Ilyich Lizyukov of the 2nd Tank Corps, had also gone missing in July 1942 during heavy fighting near Voronezh in southwestern Russia. “He was a faithful son of the people, loyal to the party and to you personally,” Katukov said, according to an account from one Soviet military journalist. Lizyukov was so loyal, that during an effort to relieve several partially encircled brigades, he personally led his corps into battle inside a heavily-armored Kliment Voroshilov tank, according to Katukov’s later memoirs. “Apparently, the Germans had anticipated the direction of the attack and had brought heavy artillery forces forward to this region. Our tanks burst into flame, one after another,” Katukov wrote. Within time, an anti-tank shell knocked out Lizyukov’s tank, and as the corps’ surviving tanks pulled back, Lizyukov and the crew bailed. The radio operator was first, “but he was disposed of by a burst of automatic weapons fire,” Katukov added. Then Lizyukov exited the tank and, dramatically, was cut down in a barrage of enemy fire. The date, according to Katukov’s account, was July 25, 1942. A Soviet counter-attack in the same area eventually retrieved Lizyukov’s body, the head crushed, and another tank towed the major general’s tank back to friendly lines. It was a heroic story, but it wasn’t exactly true. Katukov gave this account to maintain Lizyukov’s honor and that of 2nd Tanks Corps, and to tell Stalin what he wanted to hear lest Katukov risk the dictator’s wrath, according to military historians David Glantz and Jonathan House in their 2009 book To the Gates of Stalingrad. The truth is that Katukov didn’t have a clear idea as to what happened to his former comrade. The Soviets did not retrieve his tank with a tow. The actual location of Lizyukov’s body was also, apparently, unknown. On top of that, Katukov got the date wrong of Lizyukov’s apparent death. He died on July 23, not July 25. So what happened to Maj. Gen. Alexander Ilyich Lizyukov? Did his defect, or die in battle? His fate largely remained a mystery until 2006, when an article (in Russian) by military historian Igor Yurievich Sdvizhkov retold the story with new information collected from Soviet and German archives. Glantz and House described it as an “accurate account” and referenced it in their own work. First, there is a curious backstory. Lizyukov’s command of the 2nd Tank Corps — and his direct leadership of it in battle — was the result of a humiliating demotion. An armor tactician, Lizyukov rose through the ranks of the Soviet army beginning in the Russian Civil War to lead the 5th Tank Army, a higher-ranking command. He was a decorated combat veteran, had escaped Stalin’s purges, and had been awarded both the Hero of the Soviet Union with a gold star and the Order of Lenin — two of the Soviet Union’s most prestigious decorations for heroism and exemplary service, respectively. In 1942, the major general commanded the 5th Tank Army during the Battle of Voronezh — a German offensive intended as a feint to confuse the Soviets as to the true direction of the Axis advance, which was aimed further south toward Stalingrad and the oil fields of Baku. The Germans attacking Voronezh mauled Lizyukov’s 5th Tank Army — which lost more than 70 percent of its tanks and saw two of its brigades nearly cut off. In mid-July, the Soviet high command dissolved the army and busted Lizyukov down to the 2nd Tank Corps. The Briansk Front headquarters, which oversaw Soviet forces in the area, then ordered the demoted and “distraught” Lizyukov — in Glantz and House’s words — to mount an operation to support the besieged brigades. To twist the knife, the Bryansk Front commander, Gen. Nikandr Chibisov, insulted Lizyukov by calling him a coward, according to Sdvizhkov. If he was to defect, perhaps it was because of this humiliation, which may have further heightened Stalin’s suspicions. But in fact, the demotion led Lizyukov to rush into battle, possibly too quickly, which led to his KV tank being knocked out by anti-tank guns from the German 387th Infantry Division. It’s possible to blame Lizyukov’s commanders for demanding the impossible. Of the tank’s five crew members, there was one known survivor — the assistant driver, who appeared in a Soviet military hospital several days after, according to Sdvizhkov. The survivor recalled that an incoming round penetrated the KV tank, killing Lizyukov and the lead driver. The radio operator jumped out and was shot down by machine gun fire. So, Katukov recalled this last detail correctly, if the assistant driver’s story is to be believed. The assistant driver added that he was wounded during his escape, but survived by hiding in a field, where he watched German soldiers board the tank and retrieve documents. A Soviet reconnaissance flight reported seeing the lifeless body of Lizyukov’s political commissar hanging from the turret. 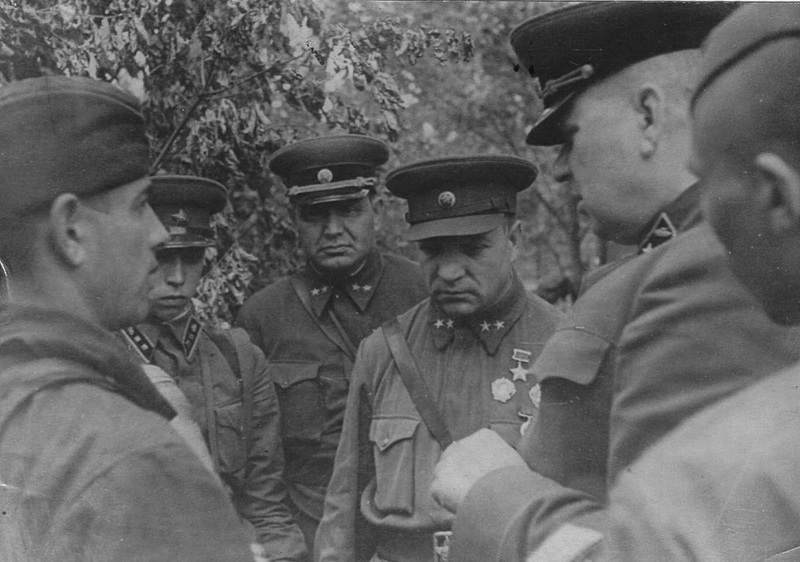 Soviet troops later retrieved the major general’s body, with his head crushed, some 100 meters from the tank. German soldiers apparently tried dragging the body in an abandoned effort to hand it over to their own officers. With Lizyukov’s body pinpointed, Soviet troops retrieved and buried him, unmarked, in a nearby wooded grove. A document discovered on the body identified it as Lizyukov’s, according to a Soviet armored forces memorandum released in the 1970s. A defection is exceedingly unlikely, as the Germans would have heavily propagandized it. But somehow, the precise details of the major general’s death never made it up the chain of command, at least in a complete form. One possibility is that Soviet commanders were simply preoccupied with confirming whether Lizyukov had defected or not — with body retrieval and proper burial being further down the list of priorities. Lizyukov was one of more than 290,000 Soviet soldiers killed during the Battle of Voronezh. Tragically, Lizyukov’s widow was left out in the cold regarding information about her husband’s death, and she wrote requests to Stalin three times with no reply, Sdvizhkov recounted. In 1943, with the Axis pushed out of the area, she arrived in the area with several soldiers in an unsuccessful attempt to find Lizyukov’s grave. It wasn’t until 1947 that she received a letter from the Soviet military confirming the death of her husband. 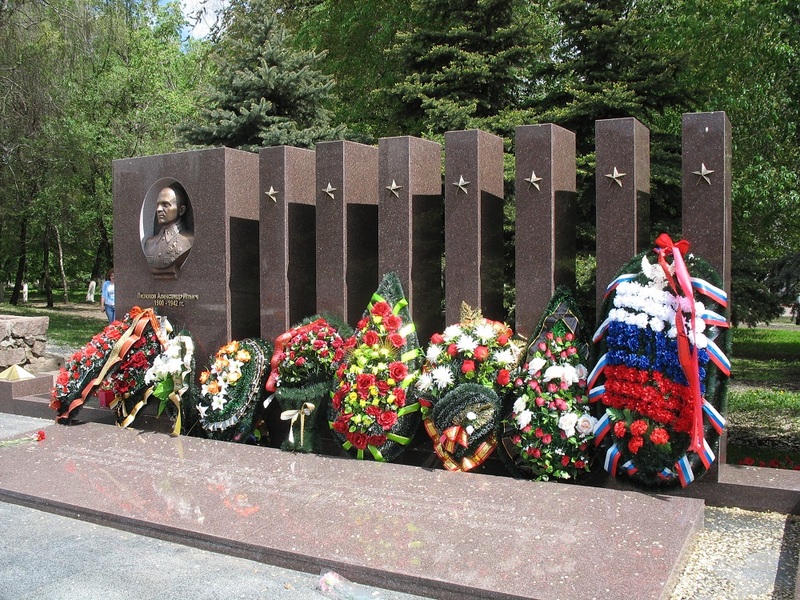 In 2008, Lizyukov’s body was officially found and retrieved from a burial site near a village in the Voronezh region and moved to the Monument of Glory — a resting place for Soviet defenders of the city. But Sdvizhkov cast doubt on the authenticity of the remains being Lizyukov’s, given that a government commission’s evidence rested on a comparison of the body’s skull with photographs of Lizyukov — despite war-time accounts that the major general’s head was “crushed” by an anti-tank round. Nor was there a forensic DNA examination. “We still do not know exactly where Lizyukov’s real grave is,” Lizyukov wrote in a 2009 article. The available evidence, however, suggests the major general died in battle. At the meeting with Katukov and Stalin, the concerned dictator sat a table and puffed on a pipe, then stood up and began walking, slowly, around the table. He asked whether Lizyukov had defected — and he wanted Katukov, who commanded the 1st Tank Army during the same battle — to answer. Katukov was quiet, at first. Then he spoke.